Pronounced gah-bee-ay-too, this cheese is a mixture of one-third raw sheep's milk and two-thirds cow's milk. Originating in southwestern France, Gabietou Cheese is formed into wheels that range in weight from 6 to 10 pounds. It is then aged for 3 to 5 months to develop a semi-firm straw-colored paste. 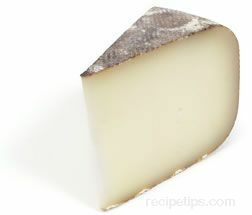 With a slightly nutty and fruity flavor, Gabietou is similar to Gruyere cheese. It is very mellow tasting, but it may have a mildy tangy taste if it is allowed to age for longer periods of time. Gabietou is a good cheese to use for snacking or for sandwiches made with crusty breads and cured meats. Gaperon is a European cheese originally produced in the Auvergne region of France. Made with partially skimmed pasteurized or unpasteurized cow's milk, and at times buttermilk, Gaperon cheese is formed into dome-like shapes with flat bottoms. A very pale off-white colored exterior may be somewhat fuzzy from being innoculated with a stain of penicillium. This fuzzy or dry rind covers the inner matte white paste of the soft and buttery cheese. The soft-pressed curd of the cheese is blended with bits of garlic and cracked peppercorns, formed into its half-ball shape, and then allowed to cure. As an unripened cheese, Gaperon is very soft and the flavor is somewhat tart; however, as it matures, the cheese becomes firmer, while the added garlic and pepper provide an appealing and distinct flavor enhancement. The result is a cheese with a robust flavor that is perfect as a snack or as an appetizer. It is also a good cheese to serve for lunch with crusty dark breads or as an ingredient that can be melted into egg or potato dishes. A soft, richly flavored French cheese that has the texture of very soft cream cheese and contains between 60 and 75 percent milk fat. It has a flavor that is sweet and tangy and it is usually sold in small cylinders or flat squares. It is often served with crackers as an appetizer or with fruit as a dessert cheese. A pure white cheese made entirely from goat's milk and commonly referred to as goat cheese in the U.S. and chèvre (which means goat) in France. If the cheese is a combination of goat and another type of milk, it cannot be labeled as "pur chèvre." Goat cheese contains higher levels of fat and protein than cow's milk cheese. Goat cheese is available in round loaves, drum shapes, round patties, log shapes, and a variety of other shapes. The texture ranges from soft and creamy to dry and very firm. It is very flavorful with a slightly sharp or tart and tangy quality. It can be served as a dessert cheese, as an ingredient for hors d'oeuvres, and as a complement to salads. Store refrigerated for several weeks, but when it begins to taste somewhat sour, it should be discarded. A pure white cheese made entirely from goat's milk and commonly referred to as goat cheese in the U.S. and chèvre (which means goat) in France. If the cheese is a combination of goat and another type of milk, it cannot be labeled as "pur chèvre." It is available in round loaves, drums, round patties, logs, and a variety of other shapes. The texture ranges from soft and creamy to dry and very firm. European varieties are most often quite soft. The younger cheese has a fruity taste that becomes more flavorful as it ages, having a slightly sharp or tart and tangy quality as the cheese dries out. Common varieties include Banon, Bougon, Bucheron, Chabichou, Haloumi, Mendip, Montrachet, Mothais, Ribblesdale, Saint-Maure, Tymsboro, and Valenay. Goat Milk cheese can be served as a dessert cheese, as an ingredient for hors d'oeuvres, and as a complement to salads. Store refrigerated for several weeks, but when it begins to taste somewhat sour, it should be discarded. Gourmandise is a spreadable processed cheese that is produced in France. It is similar to other processed cheeses that are made by combining natural cheese with emulsifiers, stabilizers and vegetable-based gums. 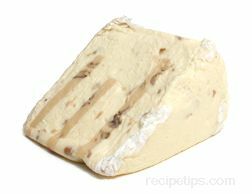 Gourmandise Cheese is smooth and creamy, and occasionally, it may be seasoned with flavorings and/or nuts, such as Kirsch liqueur, cherry juice, or bits of walnuts. Gourmandise is formed into wheels that weigh 3 to 5 pounds, or it is formed into small round cakes of cheese. The larger wheels are most often cut into wedges and repackaged for sale in the cheese department of food stores. Gourmandise cheese is typically served as an appetizer with crackers or as a dessert cheese that may be topped with sautéed nuts or served with slices of fruit. A French cow's milk cheese that is similar to Brie. 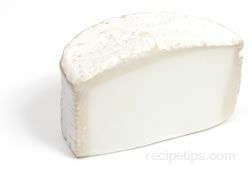 It has a natural white rind that encloses a creamy off-white cheese with a distinctive mushroom flavor. It is sold in small brick shapes and is excellent as a dessert cheese or as an addition to savory dishes such as potpies. A farmhouse cow's milk cheese traditionally produced in the Rhône-Alpes region of France. This cheese is produced in small hexagonal shapes with an edible natural rind. It is reddish-orange in color and dusted with penicillium mold. The cheese has a smooth creamy texture and a mild sweetly-flavored taste, which retains the flavor of the milk due to the production process. Instead of the common process of using rennet for separating the curd from the whey, Le Brin is produced by using ultra-filtration to retain more solids from each batch of milk, resulting in the higher concentration of milk related flavors and nutrients. A rolled cheese that is similar in appearance to a jelly roll. 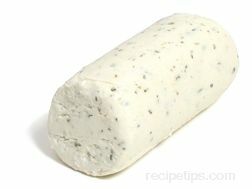 It has a layer of herbs (or other types of seasonings) spread lightly over the top of a flattened layer of cheese. The cheese and herb layers are then rolled into a log, which creates a spiral appearance when the cheese is sliced. Le Roulé is made with cow's milk and has a smooth creamy texture that is easily spreadable. There are a variety of different flavors, such as herbs and garlic, chives, salmon and dill, strawberry, and others that can be used as table cheeses, baking cheeses, or appetizer cheese spreads for crackers or flatbread wafers. Produced in the Normandy region of France, this cheese is made from pasteurized or unpasteurized cow's milk that has been partially skimmed. One of the oldest of French cheeses, Livarot was traditionally very pungent with an aroma that was objectionable to some; however, today, the cheese is less pungent but still aromatic. Livarot is typically aged for several months and is covered with an orange-colored annatto washed rind that ferments and darkens with age, which contributes to the aroma of the cheese. Golden tan in color, the paste of this cheese is not particularly elastic, but is, instead, creamy and only slightly springy with small holes throughout. When served, Livarot provides a slightly salty and nutty flavor that has overtones of cured beef. Livarot goes well with crackers, hearty breads, dark beer or ales, and robust red wines. 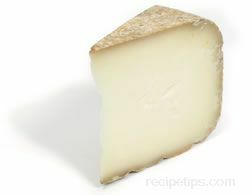 Made from pasteurized or unpasteurized sheep's milk, this semi-hard cheese is produced in the Basque region of France. Covered in a natural rind, Makea cheese has a firm, smooth-textured paste that has a slightly nutty flavor. It goes well with crackers, a variety of whole-grain breads, and can be paired nicely with Rhone wines, as well as sweet sherry or sweeter sauvignon blancs. A French cheese made from cow's milk that is typically a deep orange and is considered to be the same as aged Edam cheese. 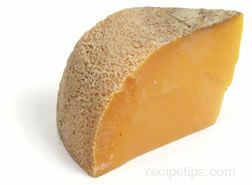 If served when it is young (three to six months), it has a smooth rind and a firm inner texture with a mild aroma and a mild nutty flavor. When aged (seven to 9 months), it becomes hard and somewhat brittle with a deeply pitted rind that surrounds a cheese that has a distinctive aroma and a very tangy or fruity flavor. It can be served as an appetizer, a snack, an accompaniment to dark bread and beer, grated over salads and other dishes, or used as a nice cooking cheese. Montrachet is a white goat cheese with a creamy texture and mild tangy flavor, which is made into a log shape and covered with salted ash. Typically made with a very thin rind, Montrachet or Montrachet Chèvre (as it also known), is wrapped in vine or chestnut leaves prior to aging. The best flavor is provided when the cheese is still fairly young and considered to be a fresh milk cheese. As the cheese ages, it may become somewhat bitter and watery. Montrachet is best served as a table cheese or as an appetizer with small crackers or hard breads. Morbier is a French cheese that for many years was a farmhouse cheese made in the Jura Mountains; but now, it is made in local cheese factories. The most flavorful versions are made from unpasteurized cow's milk (referred to as lait cru), with both unpasteurized and pasteurized milk. Cream to pale yellow in color, this cheese has a semi-soft elastic texture that contains a dark, salty layer running through the center. This darkened layer was traditionally a coating of ash and salt that was placed over the first batch of curds produced from an early milking that were then covered by the second batch produced from the later milking. Today, the dark band is more for decoration and may not be a real ash layer at all, unless it is made in the traditional manner of years past. Morbier cheese can taste rather bland and very mild to sweet and fruity in flavor with a pungent yeast-like aroma. The cheese can be served with bread or on crackers as an appetizer, and chutney can be added to enhance the flavor of the cheese. It also goes well with grilled foods. Raclette cheese can be used as a substitute if desired. 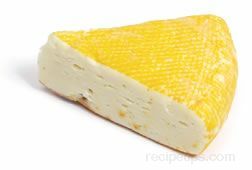 Munster is a cheese native to France and Germany and is produced from cow's milk. It is formed into a round block of smooth semi-soft textured cheese. Most Munster is produced using pasteurized milk; however, when it is produced as a farm cheese, unpasteurized milk is used. The sticky rind of the cheese has a yellow-orange color that is derived from repeated brine washings over a two to three month period of aging. The mature cheese has a yellow color, a strong aroma, and a distinctively spicy or tangy taste, which is attributed to the brine washings. The younger aged cheese has a mild flavor. Munster is served as an appetizer, as a complement to dark bread or baked potatoes, and as a cheese to use when grilling foods. It can be frozen to keep for extended periods of time or simply kept refrigerated. A similar cheese produced in North America is referred to as Muenster. It has the same texture as European Munster, but is white in color and has a mild, light flavor. There are variations of Munster cheese made in different countries, such as Chaumes, Gerome, Lingot d'Or, and Marcillat from France; German Münster cheese; and American Muenster. 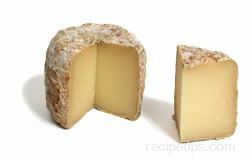 The French Chaumes, which is a mild cheese with a slightly nutty flavor and a very pliable (not spreadable) texture, is one that is often available. Beverages that go well with Munster cheese are beer, Gewurtztraminer wine, and full bodied red wines. Originating in the Normandy region of France, this cheese is a soft unripened cheese, which is very similar to cream cheese in texture, taste, and use. Traditional Neufchâtel is made with unpasteurized cow's milk, but when it is exported, it is made with pasteurized milk. Versions produced in the United States often do not contain the higher fat content cream that thickens the texture and enriches the flavor, and they are typically higher in moisture content. To thicken the consistency, domestic versions contain xanthan and carrageenan gums rather than higher amounts of cream or fat content. When a recipe indicates the use of Neufchâtel cheese, it may be best to determine if it is a French version of the cheese or the American version in order to produce the intended results. Somewhat salty in flavor, Neufchâtel cheese becomes pungent and stronger tasting as it ages. Since it is a spreadable cheese, it is an excellent topping for crackers and bagels. It is also a good cheese for sandwich spreads, hors d'oeuvres, snack dips, desserts, and dessert frostings. Neufchâtel is produced in many different shapes and sizes, the most common of which is the small rectangular block. In addition to rectangular and square shapes, it is also available in logs, rounds, or heart-shaped forms. To store Neufchâtel cheese, refrigerate it and keep it wrapped tightly after opening. Since this type of cheese may have a limited life after opening, it should be discarded if mold appears.